The Carb-Sane Asylum: Who Should Fund "Science"? Who Should Publish It? Who Should Fund "Science"? Who Should Publish It? I've bumped this before. I'm still alive and working on blogging, finishing off an installment about the Sugar Slammers. I think this post is worth a read or re-read. The Laura and John Arnold Foundation funds several non-profits all engaging in targeting sugar as the ultimate cause of everything. Such funds are obscured as donations to universities. Additionally other non-profits with clear agendas present themselves as taking no industry funding. It's a dense mess. I'm working on another post regarding conflicts of interest and such, and this came up on the background gathering. A number of journals are adopting "noble" policies of no longer accepting industry funded studies. Mind you, many of these same journals appear to have no qualms publishing the works of individuals with clear biases and conflicts. I think this hard line on industry funding is wrong-headed. Not that I'm a huge fan of many industry funded studies per se, but please read on. If "industry" is not funding, then who is? The government via NIH, NIDDK, etc.? 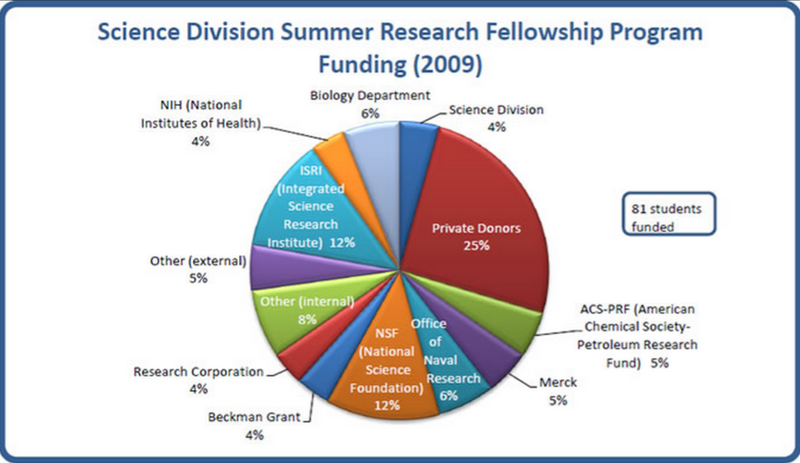 Some states have research funding initiatives. Is any presumption of objectivity in funding disbursal even possible here?? I don't think so. Indeed in many areas of science, government funding carries with it as much baggage as a dollar from Big Food, Big Pharma and Big Agra combined. So if having everything government funded is not the answer, so then what? Academic and non-profit conglomerations with large endowments? Large medical and research facilities? Where do they get their money from? How far back do we trace the source of funds from large and small benefactors. If the institution gets any money from Monsanto, does it taint all research however unrelated? (I use Monsanto as my token badboy big industry.) How about if the funding sources are so intermingled such that it is -- for all intents and purposes -- unknown where funding for any particular study comes from. Which slices raise the most questions? I'm purposefully not linking to the source of this graphic (it's a college most would never have heard of). The point is more the whole pie and the slices. Red slice there is private donors, and there's quite a bit of "internal" funding, but you see lots of government organizations in the mix as well. Which slices raise the most questions? originator of the "large and fluffy" LDL mantra -- comes to mind. He did a study funded by Big Beef on saturated fat and beef protein. The conclusion? It's an atherogenic mix. You heard much about that? Now here's an even bigger question. What about the journal publishers themselves? A hat tip to Melanie MacSmiley who sent me this interesting news story while ago: Academic Journals: The Most Profitable Obsolete Technology in History. Academic publisher Elsevier, which owns a majority of the prestigious academic journals, has higher operating profits than Apple. In 2013, Elsevier posted 39 percent profits, according to Heather Morrison, assistant professor at the University of Ottawa's School of Information Studies in contrast to the 37 percent profit that Apple displayed. This lucrative nature of academic publishing comes at a price--and that weight falls on the shoulders of the full higher education community which is already bearing the burden of significantly decreasing academic budgets. "A large research university will pay between $3-3.5 million a year in academic subscription fees --the majority of which goes to for-profit academic publishers," says Sam Gershman, a postdoctoral fellow at MIT who assumes his post as an assistant professor at Harvard next year. In contrast to the exorbitant prices for access, the majority of academic journals are produced, reviewed, and edited on a volunteer basis by academics who take part in the tasks for tenure and promotion. Elsevier publishes Mayo Clinic Proceedings and Nutrition among others. These are two journals recently on my radar because the former is where James DiNicolantoni was published, resulting in a fair amount of mass media buzz, surely due to this Elsevier press release, and the latter published the Hite & Economists' nonsense regarding Americans following the Dietary Guidelines. If the above doesn't get you thinking about a few things that could possibly be worse than overt industry funding, I'm not sure anything will. For starters, who is James DiNicolantonio, and why is his name seemingly everywhere? This guy has more articles published in the past few years than Ancel Keys probably had in his entire career. How does someone who received his PharmD in 2010 and went to work for Wegmans (a grocery chain somewhere between your basic big box and Whole Foods) as a pharmacist (no stalking involved here, this is listed as an affiliation on some papers) become a "cardiovascular research scientist"? Even if he has worked for St. Lukes for a couple of years now, how does this make him a "clinical expert"? I have yet to see a single piece of primary research bearing this man's name, and yet somehow he is also on the editorial board of Open Heart of the BMJ. Bizarre beyond words. So he now has "Mayo Clinic" prestige associated with him. DiNicolantonio only has his title because St. Lukes gives him that title. Just as the third rate University of West Scotland is somehow allowing a diet book author with zero related education to do a PhD on "macronutrient confusion" through their Exercise Science Institute. Who "funds" DiNicolantonio's "research"?? As to Nutrition? Well Adele Hite may have her RD and MPH, but of her own telling, she was essentially denied continuation of her PhD in Nutritional Epidemiology and is now getting one in Communication etc. from a different school. 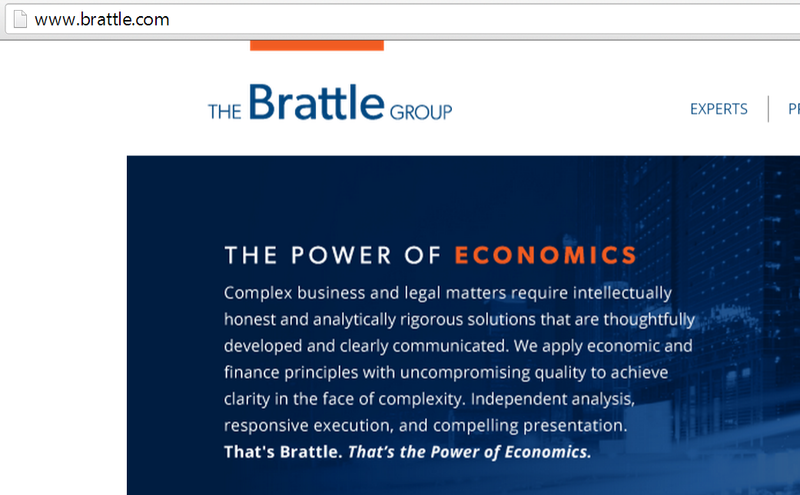 The rest of her co-authors are economists from the Brattle Group, largely involved in providing support for litigation. They didn't even mention this until the very end of the article. Only Adele, her degree ambitions and school (but not subject matter) is mentioned under the author line. Yeah there was some intellectually honest stuff in that article! Bottom line: Gone are the days when journals seemed to care about the qualifications of submissions for "peer" review. But what of their own conflicts? Many of these journals use this Conflict of Interest policy/statement, or something similar. The BMJ form is here. Here is Elsevier's. More on all of this in a future post, but the "policing" of these is seemingly non-existent. I mean Hite is the Executive Director of Healthy Nation Coalition, an organization with the seemingly sole purpose of getting the Dietary Guidelines abolished. I mean if that's not a conflict that needs declaring in an article declaring Americans compliant with those guidelines, what is? SOMEONE has to pay for research. I guess there's no putting the toothpaste back in the tube with the direction that peer-review is going and disciplinary (as in area of research vs. expertise/credentials) creep. In an ideal world, all funding would be absent of bias and "independent". In the real world, such doesn't exist. The next best thing is transparency. Ironically, this is often best accomplished by wearing biases and interests on ones sleeve, and letting the quality of the research stand up for itself. Money to support [Ancel Keys's] wide-ranging studies comes from the U.S. Public Health Service ($100,000 a year), the American Heart Association ($17,000), the International Society of Cardiology, six foreign governments and about a dozen other no-strings sources… Keys used to get money also from the National Dairy Council and American Meat Institute. Shrugs Keys: "They didn't like my findings." It's a mistake to think that the science industry is some sort of search for objective truth without bias or an agenda. It never has been, and it never will be. I totally agree. Should have perhaps stressed here that "bias" or "agenda" is often otherwise known as "discovering/developing something of use". I did a fair amount of research in both academia and industry in a few quite different fields. Academia is where a ton of research for the sake of research is done. Not all of it, and this has changed over the years, but very little of that occurs in industry. I've always felt that if "well it's funded by ..." is your only response to contradictory results to your position, then your position is the problem. At the same time, the "motivation" is always better to know and consider, especially with so much editorializing going on in the name of science these days. There's some snobbery that takes place as well. In A Short History of Nearly Everything, Bill Bryson chronicles how geology for decades wasn't taken seriously as a natural science, because most geologists were interested in how to make money digging for metal or drilling for oil. But the academics were more interested in classifying butterflies and whatnot for no material gain. Meanwhile, the geologists knew what cause earthquakes, what caused volcanic eruptions, and such, but didn't get invited to the cocktail parties where they could hobnob with the butterfly collectors and share what they'd learned. The geologists, in turn, were stumped by the existence of giant boulders in one European valley. One day, one of them was talking to a hick farmer who explained "oh, the glacier brought those". Which turned out to be true. The farmers knew this for centuries, but nobody had thought to ask.